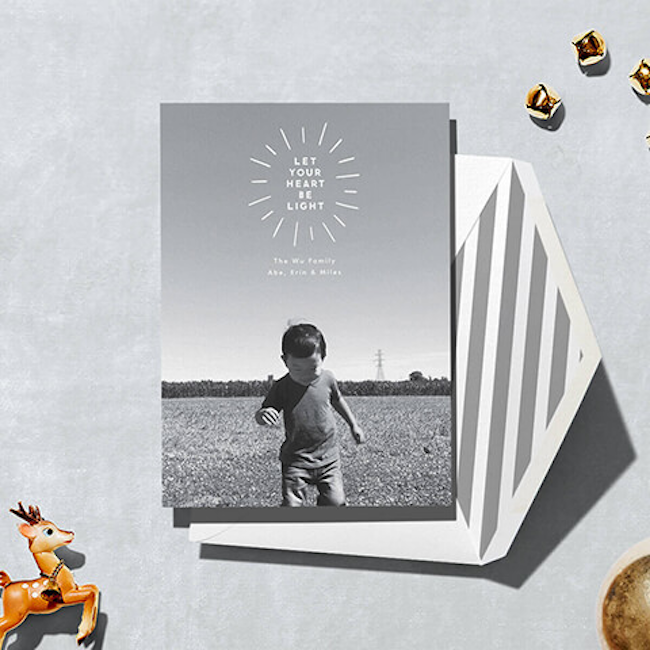 I love this Clear Intentions card at Paper Culture (which also happens to be 40% off right now, whoo!). 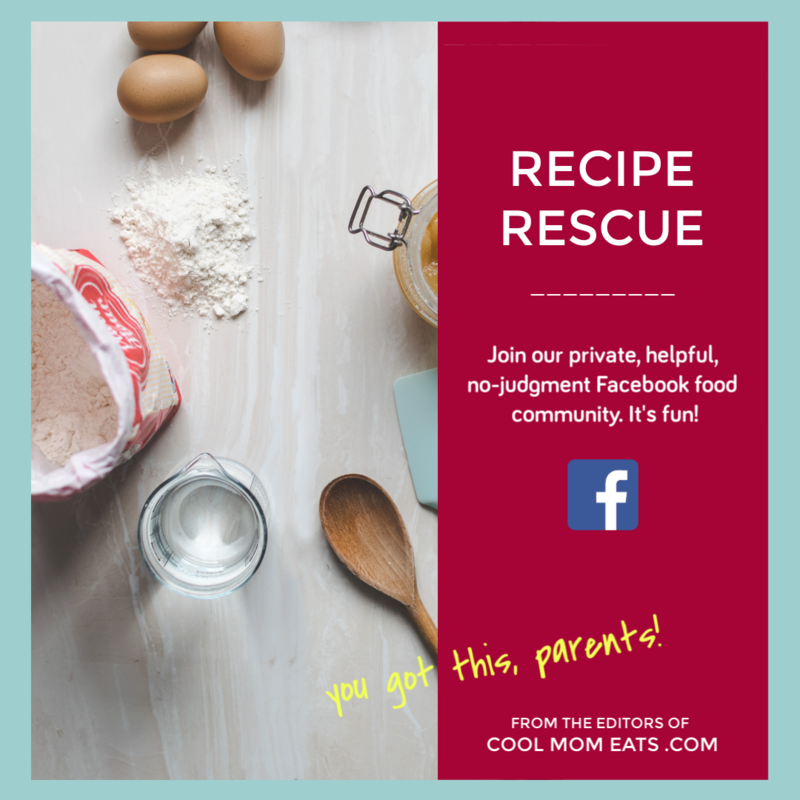 For those of you who want to send a message of love and encouragement rather than specific holiday cheer, this is a good option. I know I could use this reminder to dream big every day. And if an adorable picture of my kids was on it, you know it’d be hanging over my desk all year long. 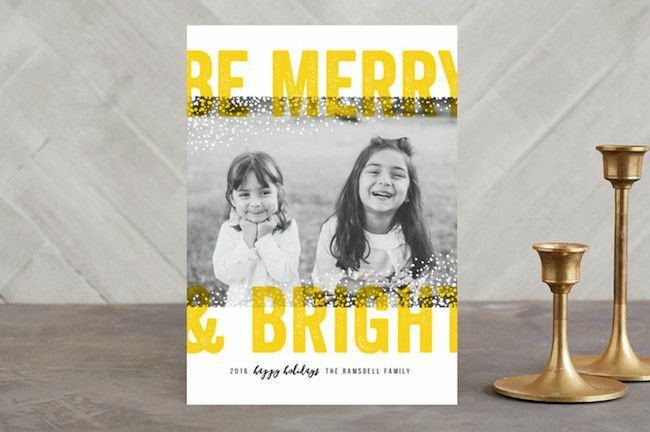 I love this encouragement to go out there and Find Your Merry at Tiny Prints. 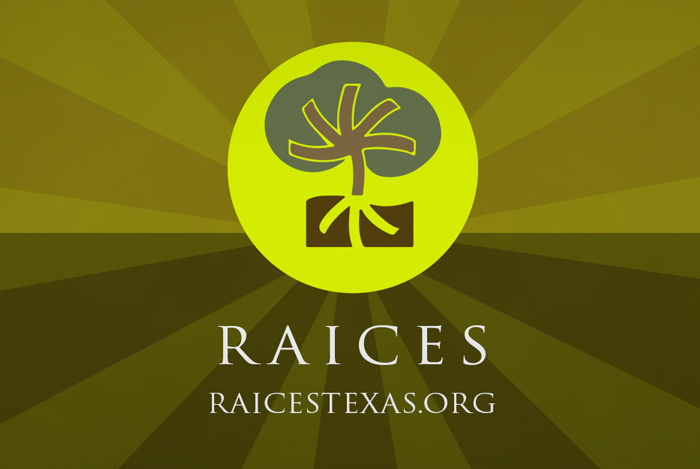 Whether your kids, your work, or just a cup of coffee is what brightens up your day, embrace it. 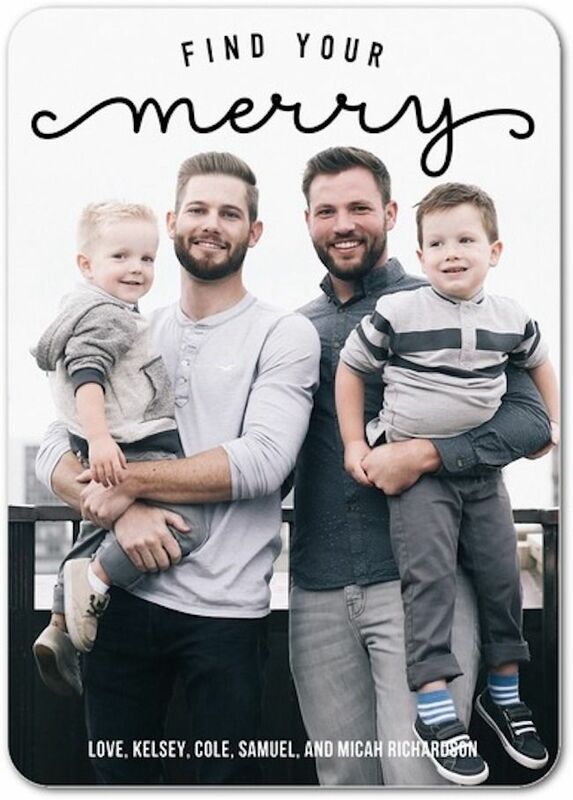 In fact, we think this card would be really cute if you sent it along with a list of the 10 things that makes your family happy. In the spirit of inclusivity, I think we should go ahead and just wish happiness on, well, everything. 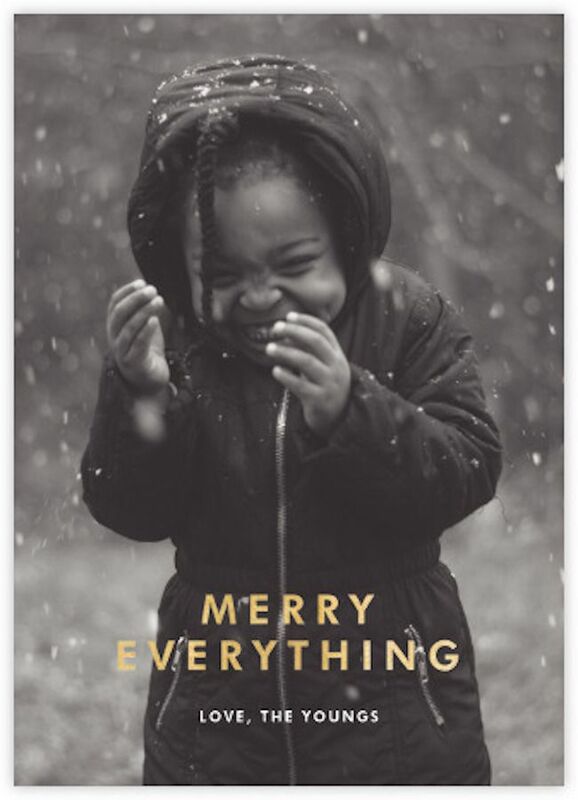 And if you can also manage to capture a picture of your child smiling as adorably as the one on this Merry Everything card at Paper Culture, you’ll warm the hearts of everyone on your list. 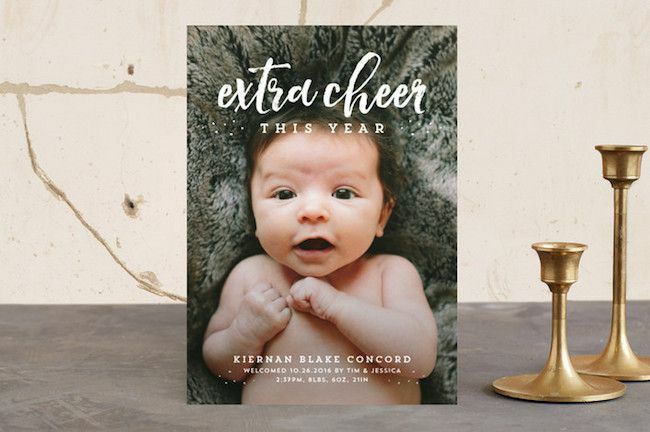 For those of you who added to your family this year, I’m sure the Extra Cheer This Year card by Lea Delaveris for Minted (also shown at top) will be perfect for your family. Plus, I dig the mashup of baby announcement and Christmas card. Simplify, for the win! 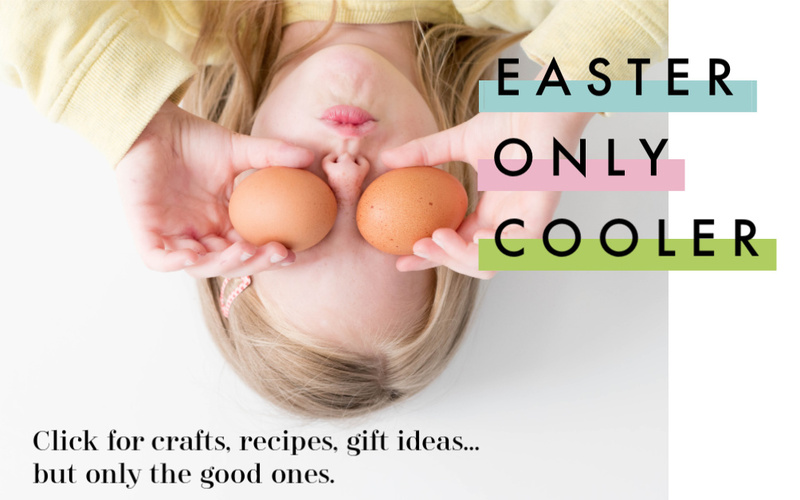 This card by Paperless Post is going to be my new mantra, whenever I get stressed about shopping and bills and Christmas programs at school and what to cook for dinner. Deep breath, and just Let Your Heart Be Light. I bet family and friends on your holiday card list would love that reminder too. 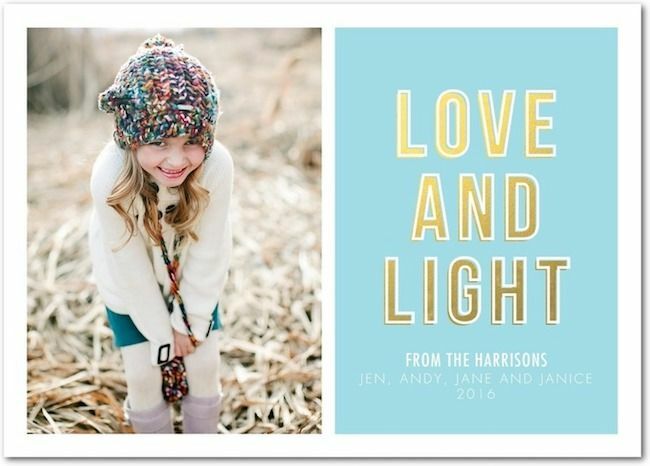 I don’t think you can go wrong with too much Love and Light in your life, and this modern holiday card from Tiny Prints, which I think works beautifully for Hanukkah, is a lovely way to send that message out. It is possible to create happiness around us by being merry and bright to everyone all the time — yes, even to hangry kids after school. 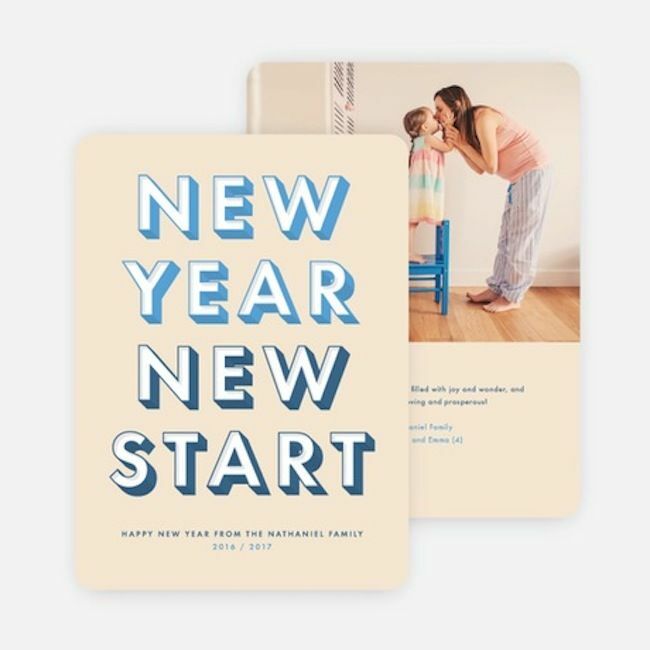 This Bold Snow card by Michelle Taylor for Minted (also shown at top) is a warm reminder of that. I personally love the non-traditional, happy yellow color for this one — but there are a lot of other colors you can choose from too. 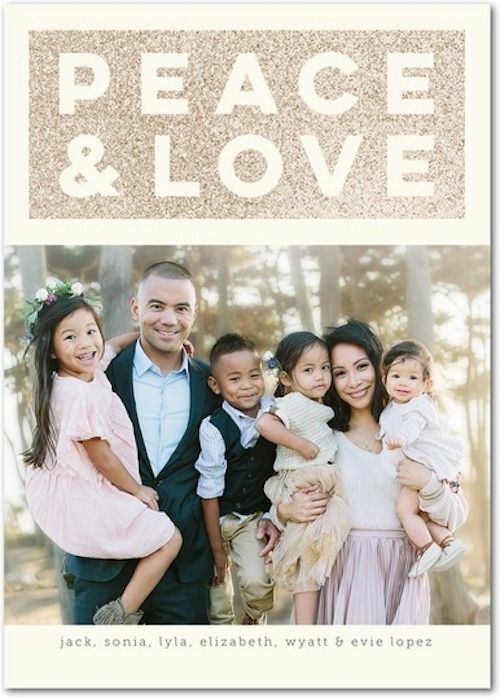 This Peace and Love card at Tiny Prints is what it’s all about. Oh, and a little glitter too. Can’t forget that. What would be really good for me right about now is a chance to sit down, reflect on my year, and come up with a good list of all the things I’m truly grateful for. Because there’s a lot. 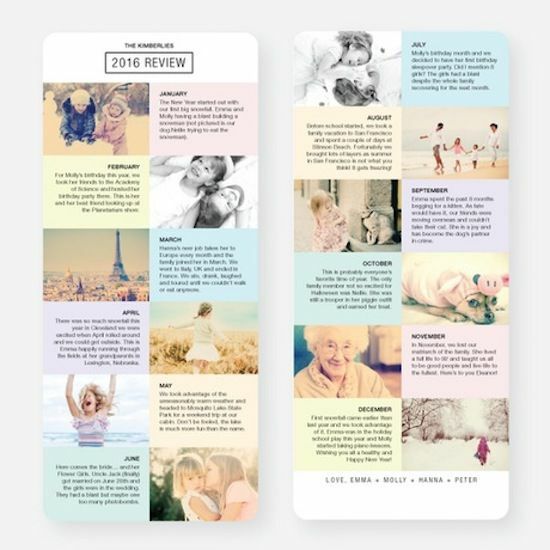 This 12 month review card from Paper Culture is a great reason for me to scroll through my camera roll and highlight the really great moments from this year to share with our loved ones. 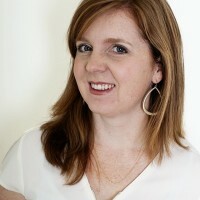 It’s a modern take on the family newsletter, and, I think, a really great exercise in gratitude.